Happy New Year! I hope your 2018 is off to a great start. Aside from my ramblings on Twitter, I’ve been pretty quiet since just before Christmas. Those first few weeks of December are by far my busiest time of the year, so I tend to fall into a vegetative state after Christmas and slowly re-emerge after the new year. This year was no exception. The down-time has been nice, but I’m excited for the possibilities of 2018 and am ready to kick things into high gear. Some reflection is necessary when planning for the year ahead, so I’m keeping with tradition in compiling a list of the most popular posts on About a Mom which all happen to be recipes again. 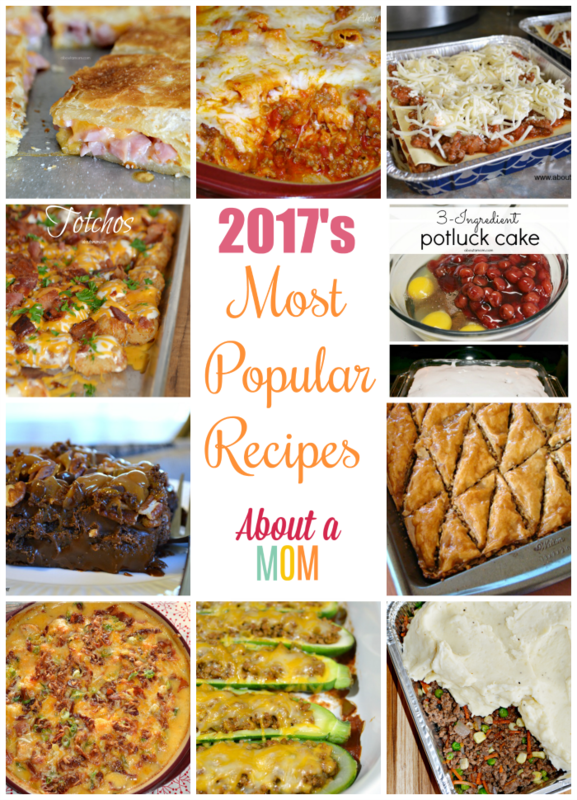 Before checking out the top 10 recipes on About a Mom from 2017, take a look at what was popular in previous years: 2012, 2013, 2014, 2015 and 2016. You’ll notice a few recipes that make the list year after year. I continue to be amazed by how well some of these old recipes from my early blogging days are doing. I keep saying that I am going to update the pictures in these posts, but can’t seem to find the time. Yet, they continue to get lots of shares on Pinterest and Facebook. Maybe I should just leave them alone? 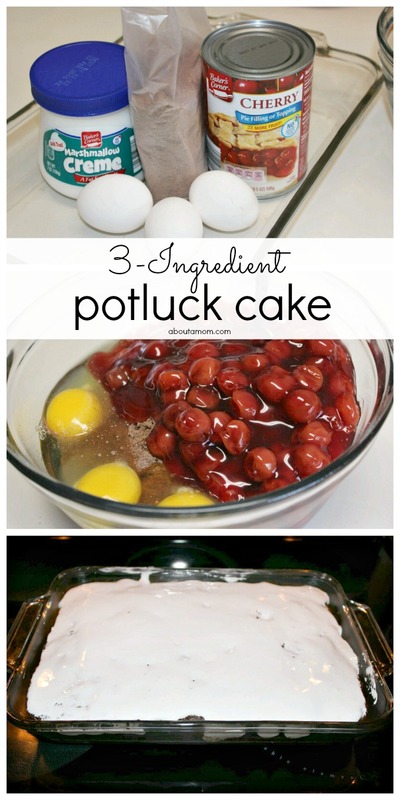 I can see why these were the most popular recipes! They’re all delicious! Who could resist the Texas Turtle Cake?! Yum! 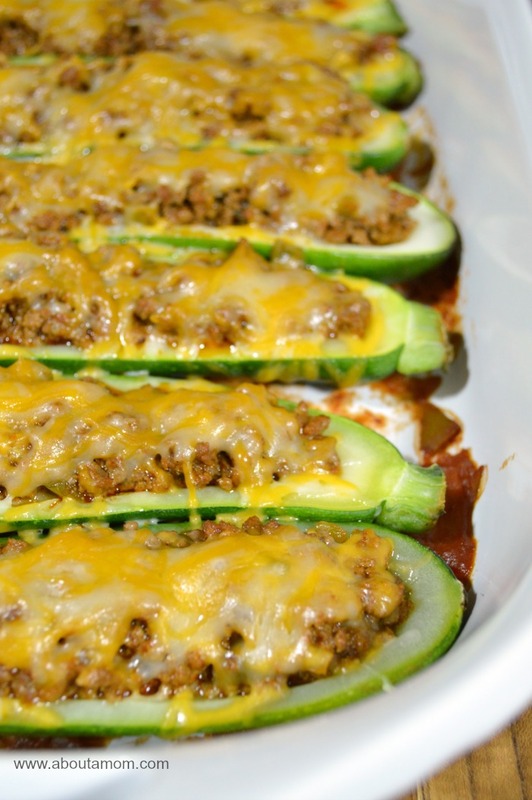 wow those taco filled zucchini boats looks delish! I should try this next week! 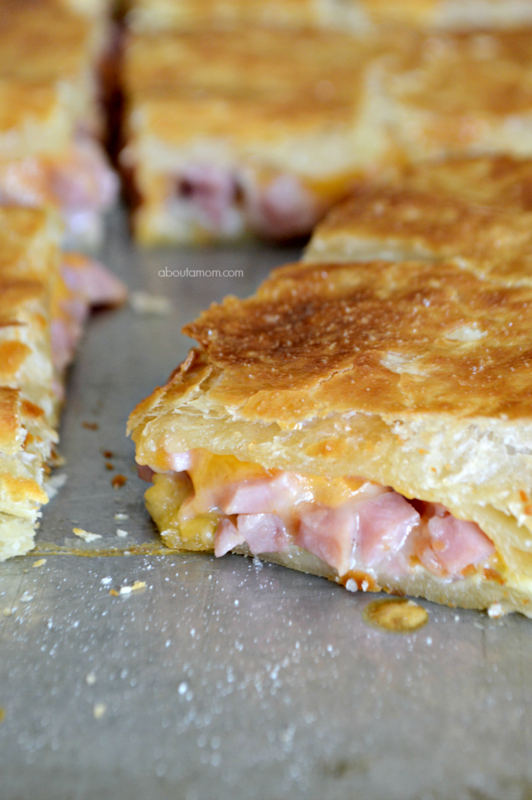 Also love the ham and cheese puff pastry melt. Thanks for this idea! These all look so delicious! 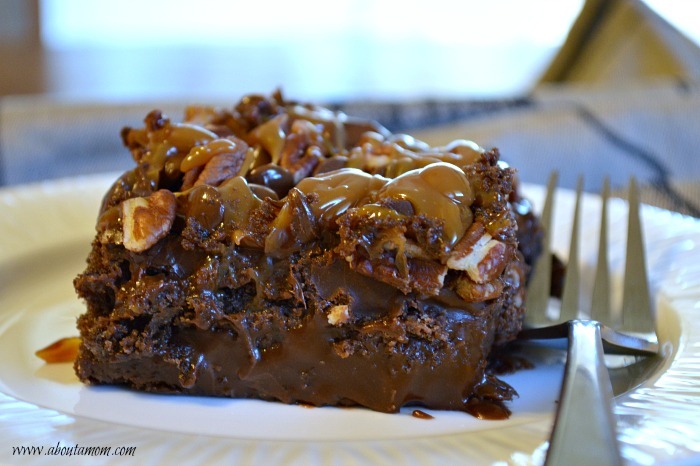 I MUST make the Texas Turtle Cake! 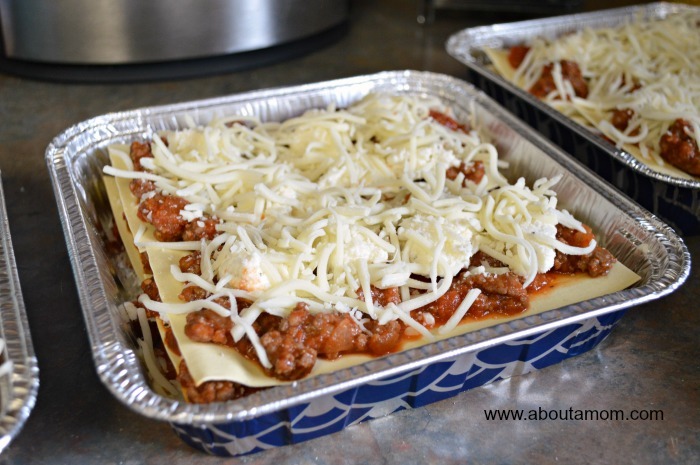 You have had so many wonderful recipes on your site. These all look so good. Oh my gosh, you are a winner. This is just what I need to help fill out my month long menu. Thank you so much. I definitely need to try some of these for my picky eaters! Oh my goodness, these ALL look so good. I know I will be making a few of them. 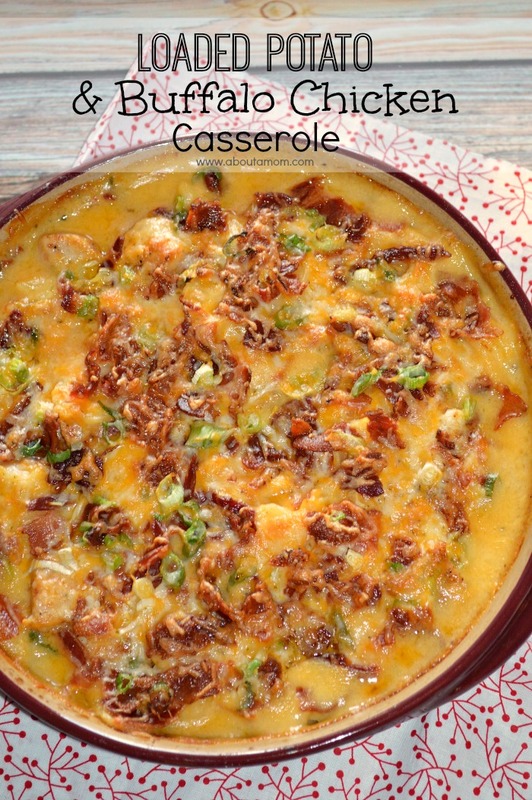 I am excited to try to make the Loaded Potato and Buffalo Chicken Casserole. I liked the Taco Stuffed Zucchini Boats best. 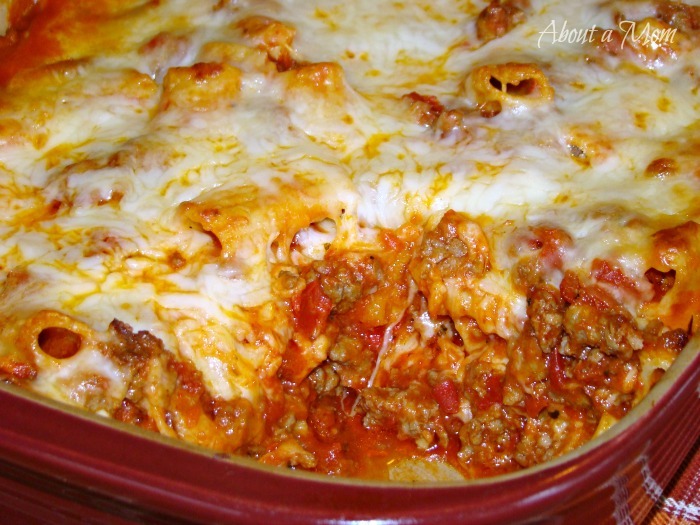 THESE RECIPES ARE AMAZING ! can’t wait to try a few and definitely the zucchini’s boatswain ! Yumm !! I can see why these recipes are so popular! 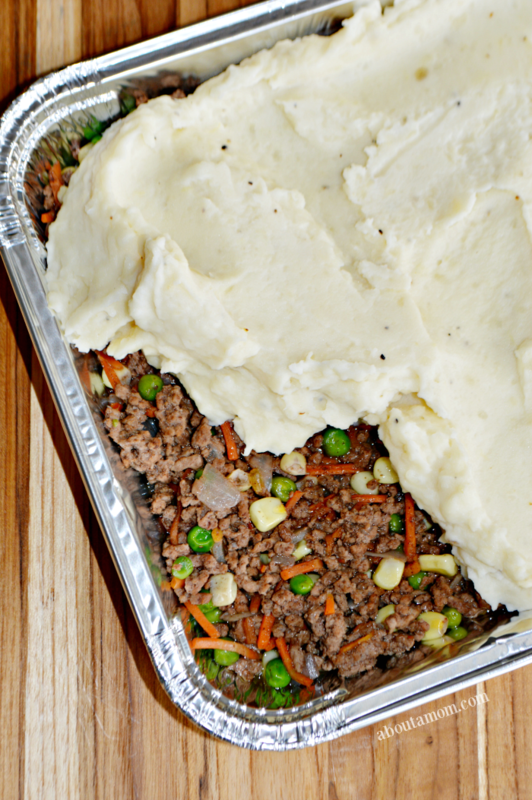 I grew up on Shephards Pie and would love to try this recipe. I have never made buklavah and this looks incredible! 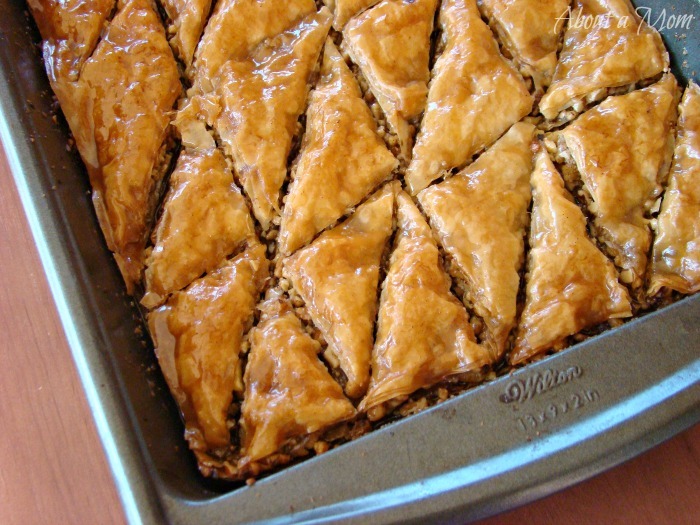 I will have to check out the Baklava recipe. I tried many years ago to make my own, and it did not turn out how I hoped it would. 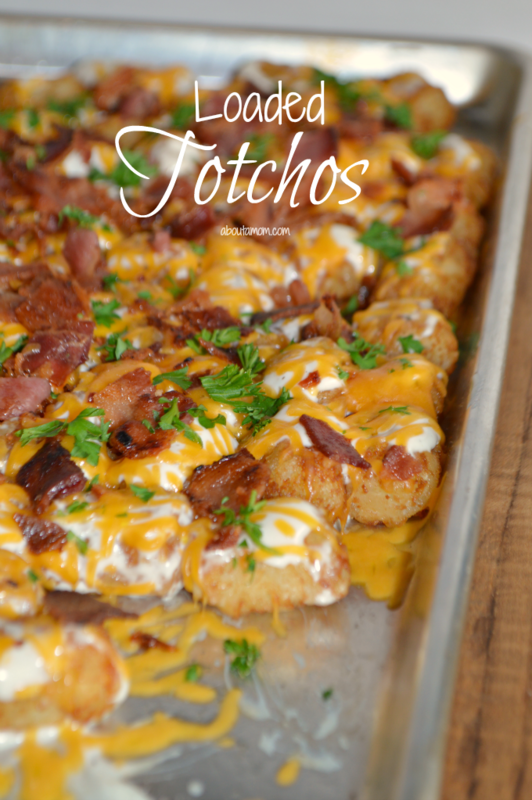 From the looks of these pictures and my drooling, I can understand why these are popular recipes, they sure look tasty!